Yes, Samragyee RL Shah got a new boyfriend this year. 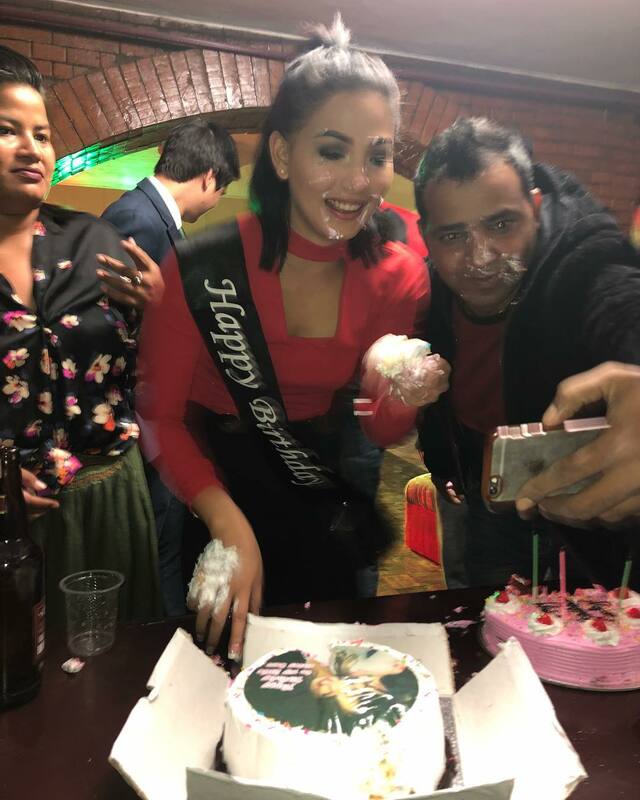 She celebrated her 23rd birthday at her boyfriends’ home. Samragyee and her friends had a big party and fun event to celebrate her birthday. 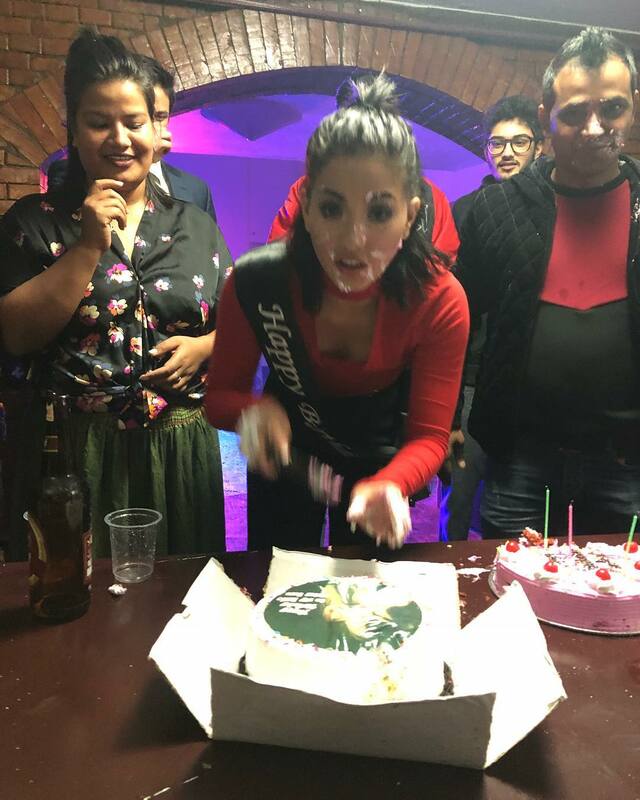 Here are some photos of the birthday celebration shared by Samragyee RL Shah herself. Samragyee was born in Birgunj on November 18, 23 years ago. Shah is also related to the royal family of Nepal. Read the full biography of Samragyee here. Samragyee debuted in ‘Dreams’ opposite to Anmol KC. The film was successful, establishing her as an actress with a lot of potential in the Nepali film industry. 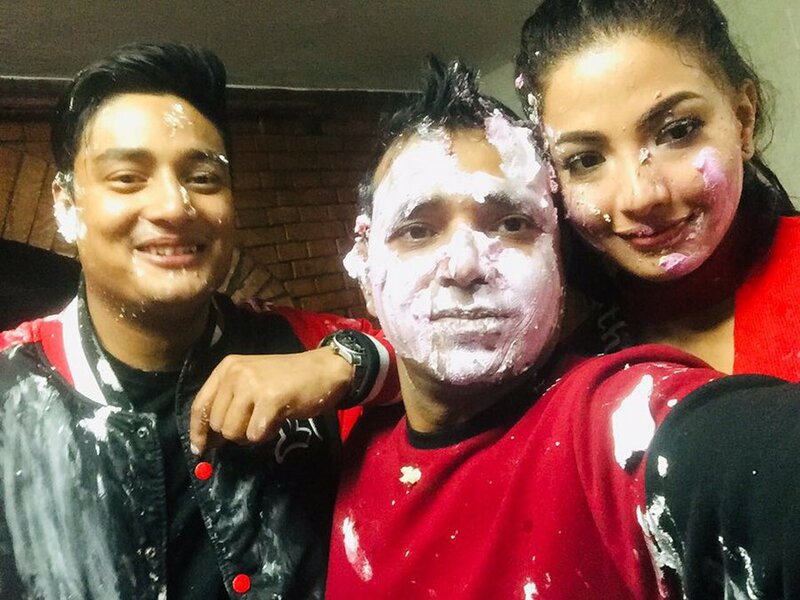 Samragyee’s second movie ‘A Mero Hajur 2’ was also successful. The third movie ‘Timi Sanga’ however wasn’t that successful. Samragyee is talented and beautiful actress, so she get credits for the success but, isn’t blamed in the failure of a movie. Samragyee is also notorious in choosing a film. She had refused films that have more than a couple of actresses. For example, she had refused to do ‘Chhakka Panja’ sequels. Other films she hadn’t done include ‘Love Station’. She has also done a guest role in ‘Mangalam’. Actress Samragyee is considered the highest paid actress in the Nepali film industry. She had recieved Rs. 10 lakh for the role she did in ‘Kayara’. But, the film wasn’t successful. The failure of the movie however didn’t have any impact on her popularity. The movie that was released after ‘Kayara’, ‘Intu Mintu Londonma’ was successful. Samragyee got another offer and was paid Rs. 15 lakh for an unnamed upcoming film. The movie is going to feature Pradeep Khadka opposite to Samragyee. In another report, actress Pooja Sharma has also received a similar sum of money for her role in her upcoming project. I wish Samragyee a very happy birthday and wish her more success in the coming days. Samragyee is dating a rich guy – the son of Udhyog Banijya Mahasangh – Devanksh Sjb Rana. After knowing for a few months, they had hooked up at the time of the shooting of ‘Intu Mintu Londonma’. Samragyee found Devanksh after she broke up with Mayank Khadka. Devanksh Sjb Rana was also seen at the birthday of the director Renasha Rai with Samragyee. After the birthday party at Devanksh – not Samragyee’s relationship is ‘confirmed’. This entry was posted in Birthday and tagged Devanksh Rana, Samragyee RL Shah. Bookmark the permalink. 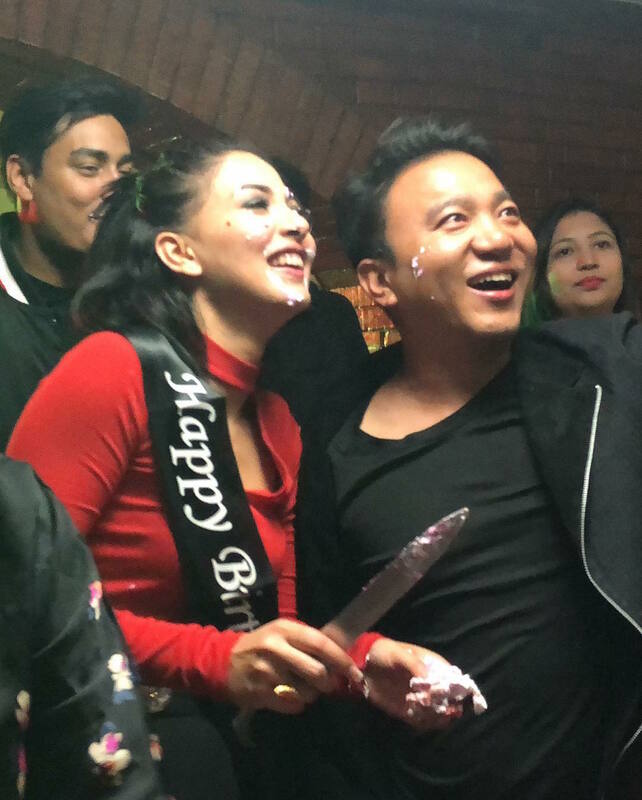 ← Paramita RL Rana broke up, did Hisi Losang cheated on her?